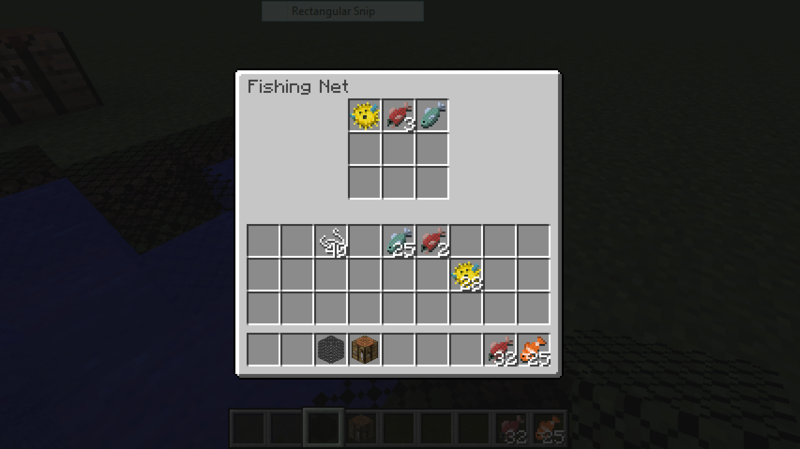 Adds a fishing net to the game that fishing for you. Part of the Micro Series. Info: Deposits catches into a nearby chest. Effect does not stack (duh). Info: Catches loot as well as fish. Effet does stack. Info: Decreases the chance of a fishing nets clogging with seaweed. Effect does stack. Info: Increases the rate at which the fishing net operates (catches stuff). Effect does stack. 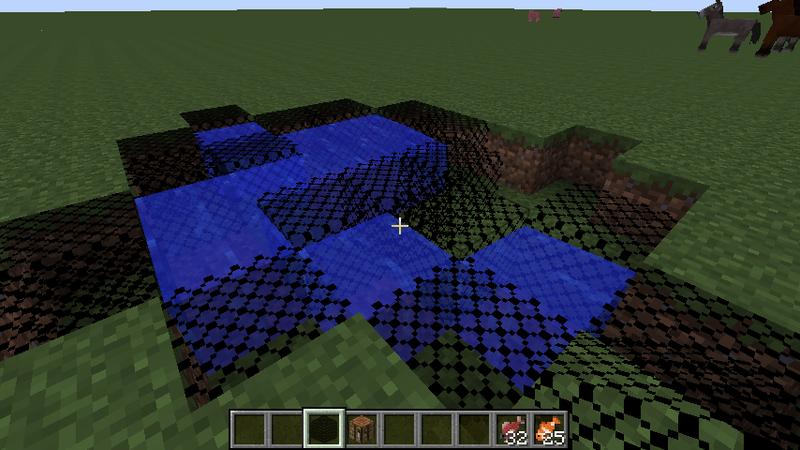 Fishing nets will make a splash sound and spawn particles to alert you that a fish has been caught. Every once in a while the fishing net will become clogged with seaweed, and the fishing net will lose it's ability to catch fish. To get rid of the seaweed simply right click the net and the net will go back to catching fish for you. Accessing Fishing Nets To access your fishing net simply right click on it. The fishing net will be giving off splash particles if there is something in the net unless the net is covered in seaweed. Upgrades Upgrades are used to unlock features for the fishing net. Upgrades are placed in the fishing nets in the slots with the up arrows. For more information about individual upgrades, look at the recipes.